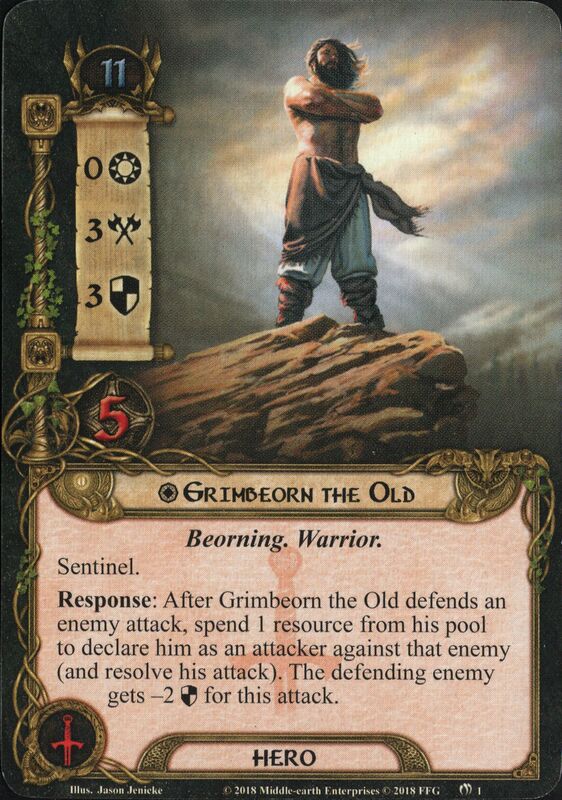 Watcher of the Bruinen does not exhaust to defend.Forced: After Watcher of the Bruinen defends, either discard it from play or discard 1 card from your hand. Immune to player card effects. The Dream-chaser can always be committed to sailing tests (even if you are not the first player), and counts as 2 characters when committed to a Sailing test. If the Dream-chaser is destroyed, the players lose the game. Response: After Jubayr is declared as a defender, discard 1 facedown shadow card from a non-unique enemy. (Limit once per phase.) If Jubayr leaves play, you are eliminated from the game. 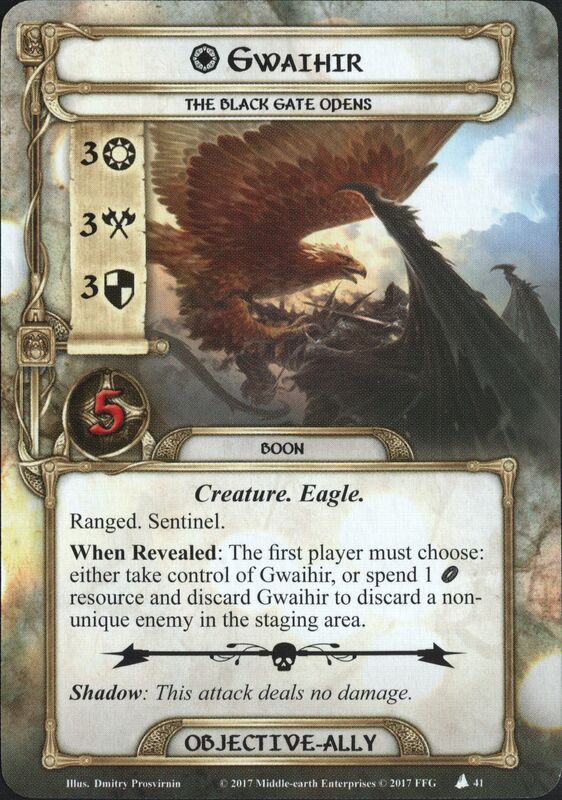 When Revealed: The first player must choose: either take control of Gwaihir, or spend 1 Fellowship resource and discard Gwahir to discard a non-unique enemy in the staging area. Shadow: This attack deals no damage. Immune to player card effects. Does not exhaust to quest. If Host of Lórien leaves play, remove it from the game. 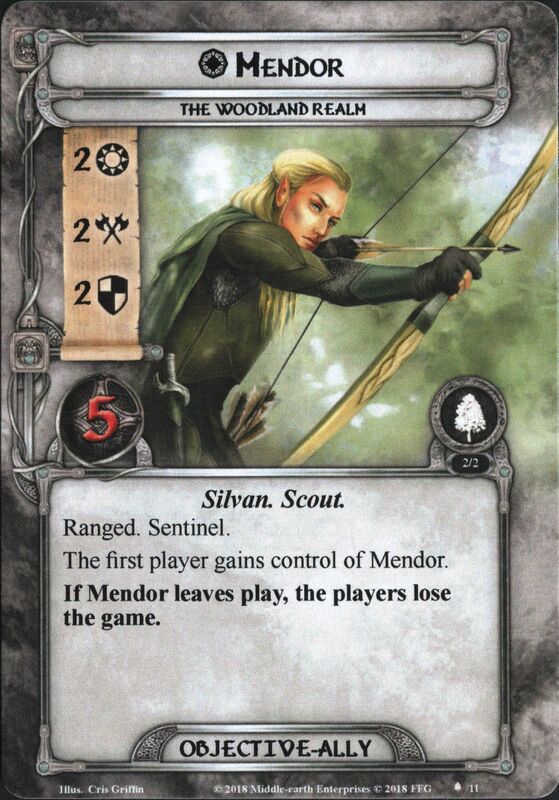 The first player gains control of Mendor. If Mendor leaves play, the players lose the game.